You might have heard of an open house viewing before – but our bet is that’s mostly thanks to American TV shows. That’s because open houses are still a relatively new practice in the UK. Sure, there have been a few scattered around history, but it’s only recently that the idea has really caught on. The concept is simple – a seller opens up their house to any buyers who want to view it. Multiple potential buyers can come along at once and view the property at their own pace, and the seller and agent are both there to answer any questions. This format of viewing has many benefits for both seller and buyer and some pit-falls to be aware of. 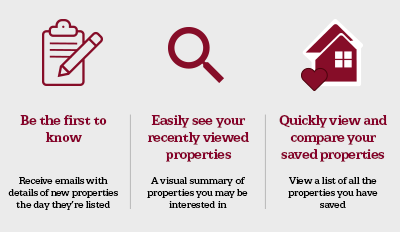 Time Saving – When you’re looking to sell your house, you’re suddenly going to be spending an awful lot of time on property viewings, preparing for them, or making sure you’re out for them. The average individual viewing can last anywhere from 30 to 80 minutes! But with an open house, you are effectively having multiple viewings at once. This will save you heaps of time, both in being present for viewings and in staging the house for each one. And you won’t be wasting your time if a buyer pulls out of a viewing – there will be others there. Relaxed Viewers – Buyers can sometimes feel intimidated or pressured during one on one viewings of a property. They also feel somewhat tied to their host – be it you or the estate agent – as they walk around and view it. But with an open house, buyers feel free to wander and explore. 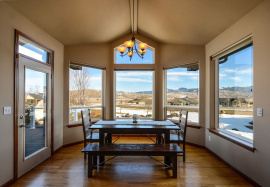 Such a relaxed atmosphere will help buyers take their time and feel more at home during the viewing, both of which increase the chances that they will put in an offer. Increased Chances Of Offers – The other big advantage of an open house viewing is that buyers get a real sense of how much competition there is for the property. Buyers are much more likely to want a property if they see other people interested in it, which significantly increases the chances of more offers and a quick sale. On the down-side, of course, if only one buyer turns up for the open house, they’re unlikely to want to pay full price as they know there are few buyers interested. The Downside – The main disadvantage of open house viewings is that there is far less time to get to know the buyers. During a one on one viewing, the seller or agent can get a really good indication of what the buyers are like, what their motivations are, and whether they really liked the property or not. We have found that by far the best way to keep stress levels down once a buyer has been secured is to know that they really want your property and will do anything to get it. There is far less chance of finding out their real motivation during what can be rather a busy time at an open house. Viewers Take Their Time – Rather than being shepherded through each room of the house and spending only a few minutes in each, an open house viewing gives buyers the time to really explore the property at their own pace. This means they can really investigate all the things that are important to them, take measurements, and generally get a better feel for each room. It might also mean they feel more comfortable talking candidly with whoever is accompanying them, without the watchful eye of an estate agent in the background. Gauge Other Buyers Reactions – Another big benefit to an open house viewing is that buyers can gauge the reaction of other buyers to the property. After all, we all have different tastes and priorities, and another buyer may have spotted something that the first buyer hadn’t noticed. Buyers will also be given a good idea of whether the other buyers were interested, and how much competition there is for the property. · How long has it been on the market? · Why are you selling? · How much are utility bills? · What are the neighbours like? On the other hand, some buyers like the ability to talk candidly with an agent without other potential buyers listening in, perhaps to discuss extending the property, or making changes. If other buyers hear ideas on the potential, it may increase competition and that’s not always what a buyer wants, so some buyers prefer one on one.